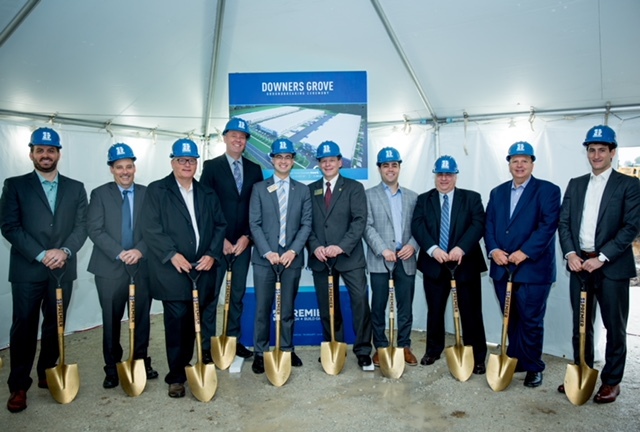 The Downers Grove Economic Development Corporation (DGEDC) recently announced that Bridge Development Partners, LLC, broke ground on Bridge Point Downers Grove. The 678,858 sq. 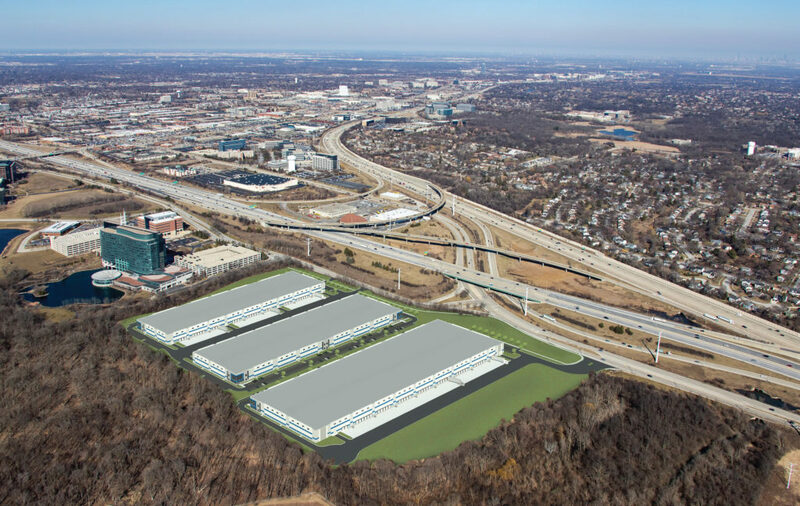 ft. industrial/office development is a joint venture of Bridge Development Partners and Banner Oak Capital Partners. The project, which is on a 54-acre site off Lacey and Finley Roads, north of Warrenville Road, will be completed in early 2019. The groundbreaking ceremony, which was hosted by Premier Design + Build Group, LLC, included Mayor Martin Tully, State Representative David Olsen, DGEDC President Michael Cassa, Village Manager Dave Fieldman, and DGEDC Chairman John Luka. The ceremony featured renderings of the three buildings: 3600 Lacey (174,576 sq. ft.), 3700 Lacey (212,937 sq. ft.) and 3800 Finley (291,345 sq. ft.). In total, the three buildings will have 106 docks and 681 parking spaces. Cushman and Wakefield is the leasing broker for the project. The Downers Grove Economic Development Corporation is the official agency for economic development for the Village of Downers Grove. Please visit their website at www.dgedc.com.